I have a difficult time making recipes with watermelon because I feel like watermelon, in and of itself, is about as perfect as it can get. Just hand me a salt shaker and a knife and get out of my way! Yesterday was a day of significant change in my life. It was a day filled with joy and pride, mingled with a little uncertainty as I held my breath and watched a thread which had connected me to my son break. I knew it would come, and I’m thrilled for him but there is a lump in my heart as I adjust to the change as well. I think all phases with our kids are like that. We expect them, we want them because we know they are a natural part of growing up for our babies, and yet they always seem to sneak up on us and we have to hold our breath and just let it happen. Kind of like diving into a pool when you know the water is a bit cold but you’ll have fun once you’re immersed and get that transitioning part over with. Only I haven’t swam in a pool in fourteen years…but that is a story for another day. I mean, now that I’m an adult I know, logically, there are no sharks in pools so it’s not that (although I do still do a quick scan just to be on the safe side before my kids go swimming but I mean hey, shark week and all that). It’s not that I don’t enjoy going swimming it’s just that now I have transitioned to a place in my life where fully immersing myself in water is more of a sanctuary and retreat and I don’t feel the slightest bit compelled to do it in public. Where was I? Oh yes, yesterday. My son. He is a licensed driver. Yesterday, he left the house on his own. Crazy. How did we go from this to this? Just like that. He pulled out of the driveway. He used his turn signal, waited for a clear gap in traffic, and very responsibly pulled out of the driveway. His first trip was to a gas station to fill up and grab a coke and a snack. He brought one of each back to his sister, too. 🙂 Man, he’s a great kid. Last night, he drove himself to church and then went to the local Chick Fil A with his youth group. I found myself at 8:00, wanting to go to bed but unwilling to take my makeup off until he was home. At 8:22 I texted him : “I want to go to bed but I can’t take my makeup off in case something happens and you need me. Can you come home?”. He texted right back that he was planning on leaving at 8:30. He arrived exactly when he said he would and came in to give me a hug and tell me about his evening. Man, he’s a great kid. Sidebar: Some people are thinking “You won’t care about the makeup soon enough. Makeup doesn’t matter, etc”. Umm, yeah. Y’all I usually have my face off by 8 every night. I’ll be leaving it on until midnight in the coming years. This isn’t a vanity thing, it’s a raising thing. I get that some people don’t get that. But those that do, totally do. So today he will find places to drive. He will ask to run errands for me. I am sure I will send him to Kroger’s at some point, and I will finally get around to finding out if I can get him a Sam’s card so he can go there for me, too. Hey, I might as well take advantage of the help while it is being offered, right? I’m not clinging too tightly. In fact, I’m not really clinging at all, except for the hug he has learned he is required to give before turning to that front door. I’m actively letting go, but it is a process I have to go through each and every time and I’m not sure if it is going to get any easier. He leaves and so does part of my heart. It is like part of my brain is a tracking device set on him the entire time he is away. Seasoned moms know this. Moms of younger ones are reading and imagining in horror. Don’t worry though, they cling to you a little bit, too. And now for the watermelonade. 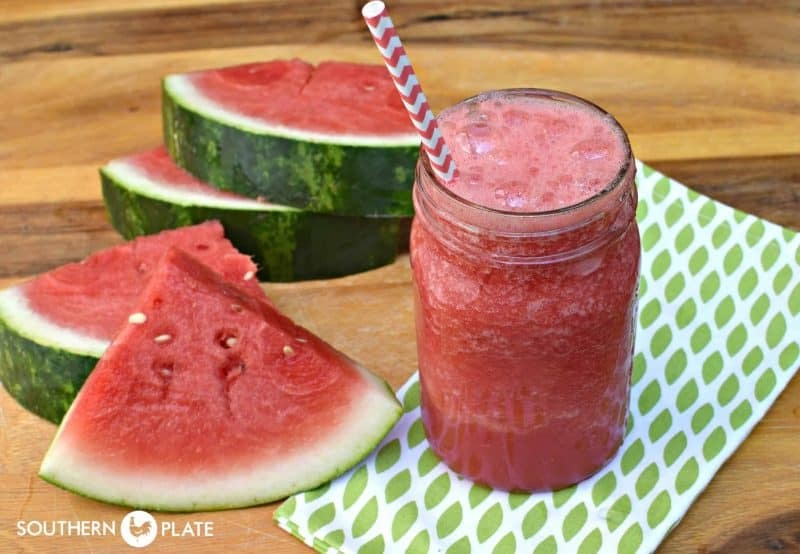 You’ll need: a blender full of cubed watermelon (black seeds removed), honey, and lime juice. Local honey is a beautiful thing if you can get it and if you’re just dying to squeeze some fresh limes, don’t let my bottle of juice stop ya. Now here are the instructions so don’t blink because you’ll miss it, k? Put all of this together (amounts are in recipe at bottom). Blend until smooth and completely liquified, and serve over crushed ice. Pinch of salt optional, but I wouldn't consider watermelon without it! 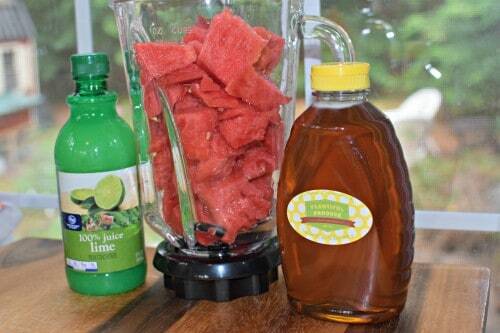 Place all ingredients into a blender and cover. Blend on high speed until completely liquified. I love watermelon, I probably have one every week. I can’t imagine doing anything other than eating it fresh…ill try it because it sounds like a smoothie, which is another of my faves. Today I’ll be trying chicken patties because canned chicken is all we have in the house today=) Many days I don’t cook without thinking of your recipes. Your site is awesome. OH my goodness Sandra, thank you so much! I am totally with you on the watermelon. Sometimes, I buy one and leave it in the car until I am by myself so I don’t even have to share! How awful is that? I could eat it all day, every day. There is just nothing like it. I hope you enjoy those chicken patties, I dearly love those! Isn’t it wonderful to have canned chicken on hand? Oh my gosh, I dearly love watermelon, too!! And I always have canned chicken on hand! Thank you for the lovely and poignant thoughts on your son. So true!! I’m gonna make this with my juicer then kick it up a bit with ginger ale. Thanks for the idea! Great idea Kali!!! Let me know how it turns out!! Got a BIG ole Georgia watermelon waiting on me to cut it open. I going give this a try. Nothing like ice cold watermelon on a HOT HUMID summer GA day. Amen Gerri!! I hope you enjoy!! Your words about the phases of our children’s lives and letting go of those pieces of our heart made my eyes water just a little. I’m one of those seasoned moms who did it over and over and now burst with pride over their competence and independence even while I miss them every day. My third and youngest child called the other day to say about my newest grandchild, “He won’t ever let me put him down!” I told her it goes by quick, and the next thing she knows she’ll be trying to get her hands on a grandbaby so she can get a cuddle. Once more, you touched my heart along with my taste buds, Christy. I always told my girls that being a parent was a lot of little “letting-goes.” They are all mommas. Needless to say, they get that now. Sounds like you did a good job raising those babies! You were so right Mama Jane!!! I remember feeling much the same way when mine were little, now we cry because they no longer want us to pick them up. It does go by so quick doesn’t it. It seems like I just blinked. That is all it took, a simple blink. Oh Whitney, I so understand. I was raised by a mother, grandmother and great-grandmother who would not step out on the porch to grab the morning paper without their “face” on. If I ever left the house without lipstick, my mom would ask me if I was sick! Christy, this post made me get choked up, I have three boys ages 21, 17 and 11. My 17 year old doesn’t have his license yet and everyone asks me what he is waiting for and why I am not pushing him to get it. I tell them, I am not pushing him because if he can’t drive, he still needs me for something besides my cooking! Love your site and your recipes, they remind me of my grandmother and we are all Yankees! I agree Whitney, it does matter. Thank you for ‘getting” it!!! It is a very good feeling when we know we’ve raised our children right and with confidence send them out with peace of mind. Thank you for sharing your stories. The watermelon receipe will be delicious when I make it as well I am certain! I hope you get the chance to try it soon Christine!!! Thank you so much for your prayers Heather!!! I will keep you in mine. The next 194 days will be the fastest days of your life…and the slowest of his. Oh my, I can’t even think about that one Marianne. That would break me as well!! 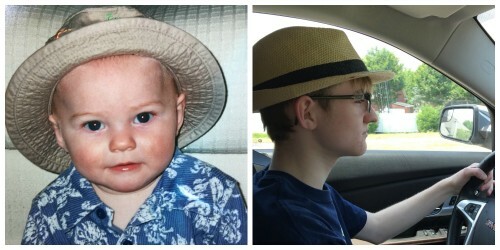 Yes the phases of our children’s lives bring us to a stop sometimes. All we can do is do our best to get them ready for them. And sometimes we adjust to them and they throw us a curve ball like finally becoming a Grandma when my daughter at the age of 43 became a mother after several years of marriage. So the phases do not stop so stay prepared. Oh wow, what a wonderful curve ball that was though!!! Thank you for this post because I am just over here trying to figure out how I am going to send my baby girl to Kindergarten in August ALL DAY! Even though she is climbing the walls with boredom as I try to get work done today. It’s good practice for days ahead I suppose these little letting go moments. Oh my goodness, I remember that milestone. That was one of the hardest days of my life too!! She will do great, and I will have you in my prayers!! While I cannot stomach watermelon ( I really think it’s a food allergy because it makes my mouth feel hot) — however, I TOTALLY GET THE MAKEUP THING. Can you believe, some gals have the ability to step out to get their mail WITHOUT it?!? GEESH! That is so strange that it makes your mouth feel hot. I have never heard of that, you may be right that it could be an allergy. I feel like we are kindred spirits today. Actually, I usually feel like that when I read your posts! I am with you on the makeup thing. I confess that I sleep in mine most nights— you never know when some middle of the night emergency might strike and scaring everyone with my un-made-up face is the last thing I need to be worrying about! My kids are grown, but I well remember that feeling when they first start driving. It never really goes away. Just keep him prayed up–you are doing a great job! Thank you so much Kari, I will definitely be keeping him “prayed up”!!! My daughters are 35 and 40 and I still am “on the ready” when they travel – I guess I’ll never stop being that way! And in few years I’ll be listening out for my precious grandchildren! Your “momma moment” hit home here too…all those snips to the apron strings are so hard for a momma, but we do them with a smile (crying is easier to hide in the shower). The hardest thread for me to have snipped was the one that was cut when I took my daughter to the airport to board a flight to Afghanistan for a 6-month deployment. Only God and wonderful Florida friends got me through that because we had buried my mom 3 weeks before. And i just put her on another plane Tuesday for her move to Hawaii for at least 3 years! Thank you for sharing snippets of your life with us here…you make me realize just how much I (we all) have to be thankful for and how blessed I (we) really am (are)! Susan, thank ur daughter for me for her service. She is appreciated. I just love reading Christy’s blog as much as her recipes. She is the real deal. I had the pleasure of meeting her in person at Swiss Pantry a couple of years back. Have a great day!! Oh my goodness Susan, I can’t even begin to imagine!! 6 months. Now 3 years. You have my prayers, and hugs!!!! Oh my goodness, what a wonderful adventure for him. So glad to hear he is understanding of his Momma’s need to hear from him. I hope that one day Brady will be just as gracious towards me!! Thanks again, Love your posts!! Ya know, Christy, I am continually amazed at how God designed human beings to mature in stages, it helps us let go in stages. Seems like one day it’s teething keys, the next *real* car keys, and then it’s dorm keys, and then it’s apartment keys, and his own car bought with his own paycheck keys. Little by little we let go a day at a time while trying to imprint indelible memories in our hearts and minds. We made an agreement when he turned 18 and left for college. Well, he said he figured he was new to being a grown up and would make a few mistakes too, so we would forgive one another. The college years fly by too fast! But they were a lot of fun for us all. Visits help the heart adjust and their maturity helps you realize they will be fine. And prayer- lots and lots of prayer. Prayer for travel mercies, for study mercies and wisdom and Divine guidance, for room mates, for good friends, for a good job when he graduates, and for God to send him a godly young lady for his future. Julianne, you have just said it perfectly!!! I will have you in my prayers as we both learn a little more about the process of letting go. I laughed so hard when you said ‘but I can’t take my makeup off in case something happens’……. But there is another phase coming in about 15 years!! HE will worry about YOU! Last week I felt like taking a little nap in the daytime and I put my phone on ‘airplane mode’ so I wouldn’t be bothered. Mistake. My 29 year old son left me voice mails and texts because the phone was going directly to voice mail and that’s different for me. It worried him and he said he was about to drive out to my house even though he had heard from me earlier in the day. So I promised to text him whenever the phone goes into airline mode. Love is a big ol’ circle isn’t it! It is a circle indeed!!! Isn’t it a wonderful feeling that they worry about us as well though?! 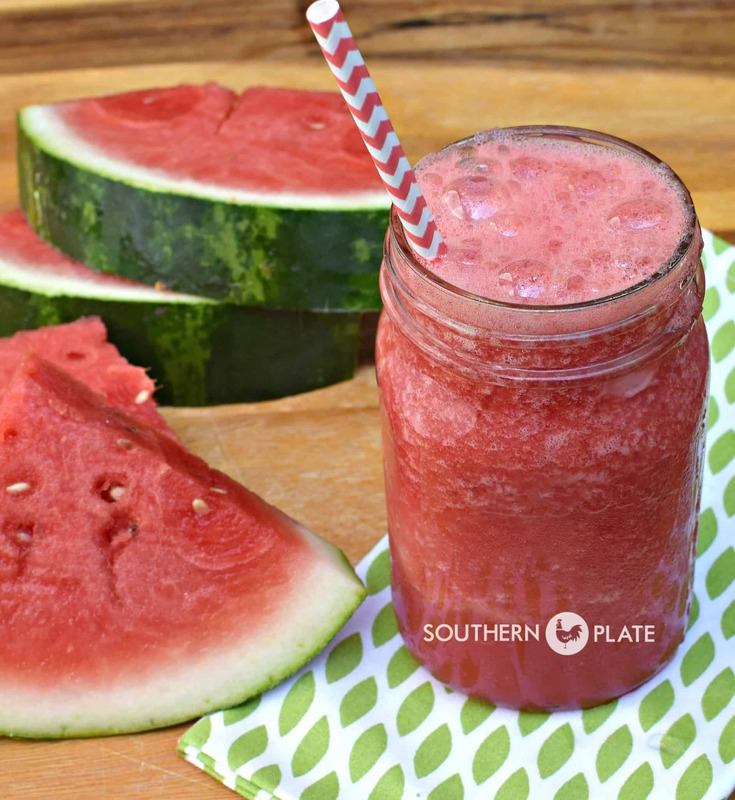 As I read your post today, I felt like I was sitting on the front porch, drinking a big ol’ glass of watermelonade and reading a letter from a favorite cousin or dear friend. I am smiling as I read, and yet a tear silently escapes and my heart sends a compassionate squeeze to you. Thank you, Christy, for making me a member of your family. I am so glad to have you as a part of my family Joni and am sending hugs right back to you!!! Will be trying this soon, my hubby has a few bee boxes, so we have a fresh honey. Just to let you know, the worrying never stops. When they are grown, it’s just a different worry. I just turn it all over to the Lord to guide them and keep them safe! What a blessing to have fresh honey!!! I have learned to trust in the Lord more and more!! Such a beautiful post today, Christy, which echoes what I am feeling in my heart. While I have no children of my own, I am going through this,with my 16 year old niece. I am so proud of the young and independent young woman she has become, but my heart breaks for the loss of my little bitty girl who needed her Auntie Sue. It’s bittersweet indeed. Oh my goodness, bittersweet is so right!! Thank you for expressing what is in my heart and even though my boys think I’m a worry wart, I will never stop praying for them even though they are 46 and 44. Right now my youngest is camping in the desert in Oregon with his 7 year old son and there is no cell phone signal for that area. The Lord and I talk often and I have to learn to “let go and let God”. Listening to your thoughts on this day I decided to put you on my prayer list as you are just beginning on this journey and you already have done so much for me. Bless you and your family. THank you so much for your prayers Rosie, I will gladly return the favor! I hope your boys have a wonderful and safe adventure! AMEN Granny!! She is so right!! I just helped my youngest child and only daughter get settled into her first apartment. She just graduated from college. She has a wonderful job. She’s not too far from home. I’m so proud as I watch her step out into the wider world. But my heart is breaking. Who knew that the hardest part of mothering would be the letting go? ~HUGS~ to you Mary!!! I am glad she is at least close by!! Thank you for gracing us with your natural gifts (amazing recipes) and your spiritual gifts ( the insight into this life that God has orchestrated for us)! I am with you about make-up, and yay for watermelon!! God didn’t bless me with children, but your comments about letting go made me think of my dear momma and how she must have felt when I started my path of independence. Your words and those commenting tugged at my heart as I can only imagine how hard it is to let go. Just now I said a prayer asking God to hold and comfort you. God bless you all! Thank you so much for the prayers Ruth!!! LIFE 360…..It’s and app for smart phones…..as long as you both have them and have them on he can be located:) my 18 yr old just graduated and went on a cross country road trip with a friend. Although he is legally an adult and could do as he wishes I told him that in order for me to have any piece of mind while we was.gone he would have to dl this app. He did. It’s been wonderful except the time it located him at the Colorado Springs Sheriff dept….panic set in until he answered his phone and laughed when I told him where it said he was. …he said “we just passed by it Mom!” Lol Good luck! Oh, thank you Wendy!!! I am going to have to check that out. I would have been in major panic overload, glad you can laugh about it now and that he wasn’t in any kind of trouble!! Boy, that watermelonade is fantastic! Thanks for the recipe……. Now I have to run to the store and stock up on watermelons!!! I am so glad you liked it Mike!!! Thanks for giving it a try!! first your post had me getting teary eyed and now the lovely comments from everyone. My 19 year old daughter spent the night with my 23 year old daughter (who is just stating out on her own) last night and boy did the house seem empty last night! I know Jane!! We are all going to be a blubbering mess and Kleenex stock is going to love us!